Writing a biography is not as easy as it may sound, but it is totally doable. Reading further may help out and establish some preliminary steps that would help you construct an effective biography. Read on to learn some tips on writing a biography. How to start writing a biography is always the initial thought a writer ask themselves. Proper planning is almost a must in creating a documentary. It is true that some writers try to do it without an outline, but that requires a high level of focus and imagination to see the structure before it even get written. It is critical for biographies to follow a form of order, not necessarily chronological, but still needs an order to be effective. It would help by laying down an outline and your initial approach in creating the documentary. Some styles on this include the usual chronological order of important events, flashbacking, or a combination of both for more advanced writers. Be careful not to lose direction as you narrate, since this is the normal pitfall of writers that normally leads to an article that is not cohesive or a piece that doesn’t convey any message to anyone. The first step you need to follow to ensure you are in a position of writing a bio, is to always ensure that you understand the writing format. You already know that each type of writing usually has its own format and failure to follow the format automatically results to you not submitted a perfect piece of writing. If you have no idea on how the format looks like you should probably get a sample biography and see how it has been written. After you have familiarized yourself with the correct format, your next step should be to proceed to the content stage. Biography is all about coming up with a history of someone and therefore the content should be derived from somewhere. If you are writing your own biography, you certainly will have no problem getting your facts right but on the other hand if you are writing a bio about someone else; you will need to ensure that you get someone who understands the whole life of the person on question. You will need to write every single detail about the life of the person in question and you therefore need to be well-informed about the life of that person. An important aspect on the list of tips on writing a biography is to know what events are worth writing down. Not all events are worthy of being listed but may be important for the person. That is the importance of having a plan, in order for the information that will be enlisted in the biography are actually important in making the biography. According to professional biography writers, there will be moments that the person would want the moment be put in the biography, but at least it would be limited to only a few scenarios and not totally put your story out of link. Biography writing unlike other types of writing is a very interesting type of writing since you have to come up with real information and not fabricate your own data. One of the most important pints to note when writing such a piece of writing is to make sure that you come up facts. The points you choose to address in your bio should be points that can be verified, you certainly do not want to mention something you did not achieve since people will eventually know you lied. To help one plan the biography properly and create an outline, you have to know the purpose of the biography. It helps in limiting the information stated in the material, and avoids unwanted information being read by the intended readers. 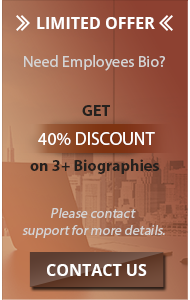 Example, an executive biography aims to inform managers about the professional background of a person, so the content of the biography needs to focus on professional experiences of the subject and should only contain a small amount of personal experiences. A biography to be used in an academic paper should include experiences of a person in the field of study, and should avoid information not related to it. General biographies normally are made with a lesson or information to convey, it would help to know that goal to effectively choose the information and the treatment of the story to be used on the biography. Have you ever seen how a bio looks like? If you have, you must have noticed that the content is usually arranged in a systematic way. It is a known fact that it is advisable to start with the earliest information and then progress to the most recent events. You certainly should begin with the year you were born if you are writing a bio about yourself. You may also find it necessary to group your points into sub sections like for instance your educational background, marriage if any and any other group of your choice. There are times when you might not even know where to begin with when asked to write a biography. Should you find yourself in such a situation, there are a number of ways you can solve this. Among the several options of solving this is to use the available biography samples. Writing of any piece of writing is never easier than when you are using a template to guide you. The template will provide you with the procedure you need to follow. With a template you will only need to substitute the content in the template with your own personalized content and you get your biography. When writing a biography, you should make sure that you are able to capture all the information about the person in question. A bio is supposed to be a true reflection of the life of the person in question. It is for this reason that you need to mention all the events and experiences that the person in question has experienced. If you wish to make the biography comprehensive, you should fail to mention even those details that might seem insignificant. As the tips on writing a documentary is given above, it would be ample to close this by giving a strong recommendation to connect the information and stay in the flow of thought when writing. Other bio writing samples are available and in fact some rules of technical writing would suggest ways to create a documentary, which is why it would be a good idea to sign-up if you need your work cut out for you. We have wonderful packages and you can even use the product to help educate yourself in this endeavor. So now that you have the tips to use when writing a bio, you should certainly have no excuse of not being able to write a perfect and comprehensive bio. Simply follow the above tips and you will be in a position to write a bio that impresses all those who might read it. 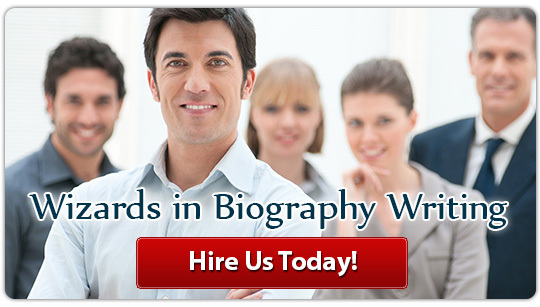 Hire our professional writers today and get your perfect biography!